At VEXXHOST, we pride ourselves in offering a complete infrastructure solution that encompasses everything your enterprise needs, from virtual machines to bare metal to containers. Our widely flexible solutions along with our industry experience of over a decade allow us to deliver a solution that you can trust and rely on. With new technologies emerging constantly, we remain ahead of the curve by constantly updating (and upgrading) our offering to match your newest needs. Whether you are looking for a public, private or hybrid cloud, VEXXHOST can help you achieve your infrastructure goals. Our solutions, built entirely on open source software, include everything you need from virtual machines to bare metal to Kubernetes containers. With over 8 years of using and contributing to OpenStack, we’ve seen it all. Leverage our experience in running Canada’s biggest OpenStack Public Cloud to manage, monitor, upgrade, or simply get advice on best practices for your private cloud. MANAGED OPEN SOURCE INFRASTRUCTURE YOU CAN RELY ON. 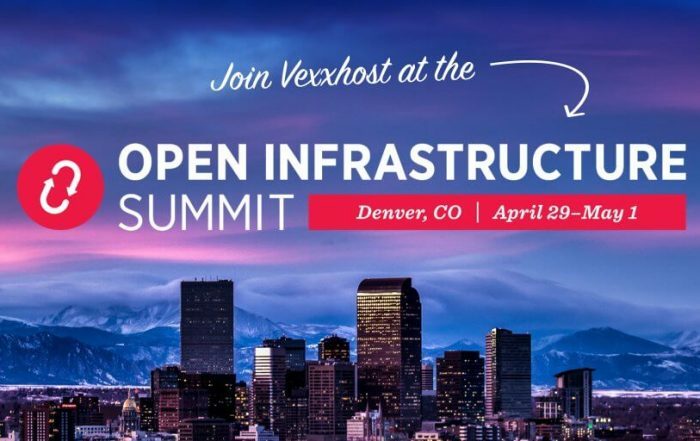 For the past 8 years, VEXXHOST has been contributing to and using open source technologies like OpenStack and Kubernetes as the backbone of its infrastructure. Our mission is to offer you the benefits of a high-performance, community-driven, licence-free solution without the hassle of managing it yourself. Our solutions contain tested OpenStack software to provide API compatibility for OpenStack core services. The Kubernetes offered through our cloud solutions is certified by the CNCF to ensure conformance and support of required APIs. VEXXHOST provides infrastructure-as-a-service OpenStack Public Cloud, Private Cloud, and Hybrid Cloud solutions to customers, from small businesses to enterprises across the world. We also offer consultation services to help users architect, configure, and optimize their cloud infrastructure to reduce expenses and increase productivity. Established in 2006, VEXXHOST was initially a web hosting provider offering services from shared hosting to VPS. 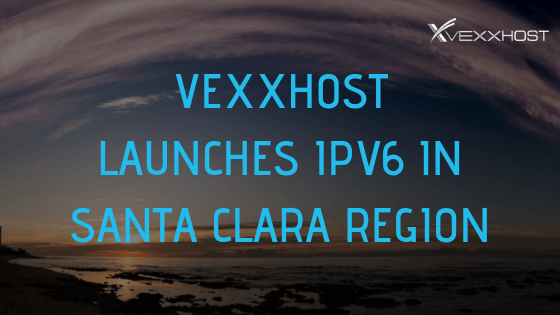 With the industry moving towards the cloud, VEXXHOST shifted its offering to more innovative options such as cloud hosting. The positive response to the change encouraged VEXXHOST to invest further in cloud-based solutions. 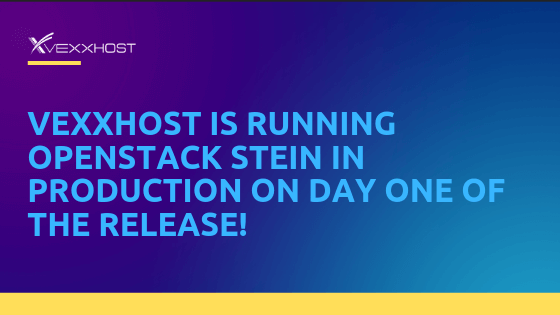 In 2011, VEXXHOST began contributing and using OpenStack for its infrastructure and started offering enterprise-grade cloud computing solutions. VEXXHOST delivers a high level of expertise to help clients optimize cloud infrastructure so they can focus on their core competencies. You need IT infrastructure that works now and adapts to the unforeseen changes of the future, and you need it now to get and stay competitive. While cloud growth has been massive year-over-year, you can still get ahead of the curve. VEXXHOST breaks it down for you here, and we’ll give you a hint. The foundation of your cloud should be OpenStack. Now let’s explore why. Interested in a Private or Hybrid Cloud? LATEST BLOG POSTS & NEWS. 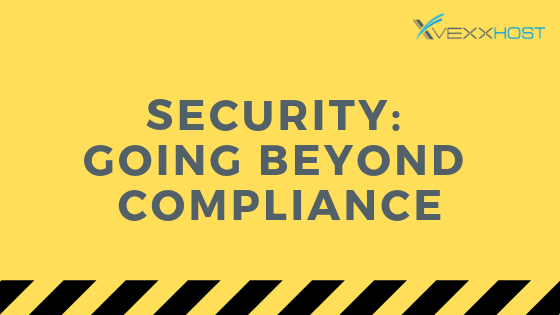 Compliance is an integral aspect of a company's security, although it shouldn't be the only focal point. Find out how threat intelligence can make a difference in your security!